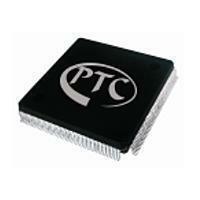 LED Display Driver - Princeton Technology Corp. LED display driver is an LED controller driven on a 1/5 to 1/8 duty factor. There are 11 segment output lines, 4 grid output lines, 3 segment/grid output lines, one display memory, control circuit, and key scan circuit, which are all incorporated into a single chip to build a highly reliable peripheral device for a single chip microcomputer. Serial data is fed to the LED display drivers via a four-line serial interface. Housed in a 32-pin SOP, PT6963 pin assignments and application circuit are optimized for easy PCB Layout and cost saving advantages. In response to the market trend of Green Power, we have invested in developing IC technology for energy-saving lighting solutions. LED display driver, along with dimming ballast ICs, is one of our latest energy-saving products. These series can be applied to all kinds of outdoor and interior lighting products. If you are interested in our LED display drivers and want to know more about it, please contact us today for specifications and quotes on our products. Multiple Display Modes (14 segment, 4 Grid to 11 segment, 7 Grid). Key Scanning (10 x 3 Matrix). Serial Interface for Clock, Data Input, Data Output, Strobe Pins and low voltage operation ability when user's MCU power supply is 3.3V.